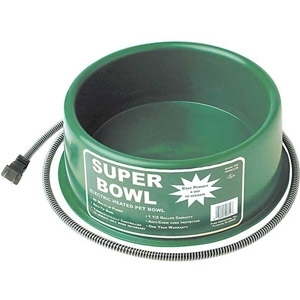 Large 1-1/2 gallon capacity. Thermostatically controlled to operate only when necessary. Heavy-duty "anti-chew" cord protector. Great for large dogs. Guaranteed for one year.